What is it? 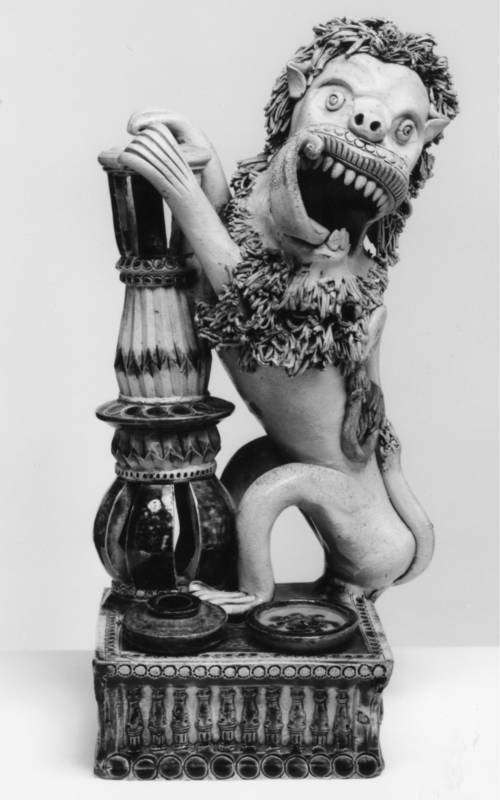 This fierce and fantastic lion is actually an inkstand. He leans on the candle-holder, whilst an inkwell, a pounce-pot (for holding sand to sprinkle on wet ink) and holes for quill pens sit by his feet. Where did it come from? He was made in the Rhineland, now in Germany, renowned for its stoneware, which in the 18th century was exported all over Europe. Where can you find it? He usually lives in the Armoury Corridor, alongside several other (equally fabulous) ceramic creations. Perfume fountain, Kakiemon porcelain 1680-90 with French gilt-bronze mounts c. 1720. What is it? 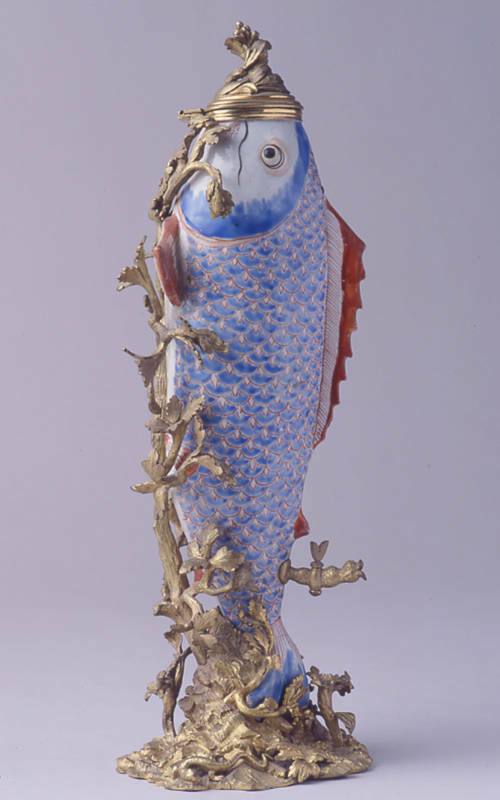 The original purpose of this fish-shaped porcelain bottle is not known, but it is thought to have arrived in France in the 1700s, where it was turned into a perfume fountain. No other fish-shaped bottle is known in Japanese porcelain of this date. Where did it come from? Japanese porcelain was hugely prized in Europe in the 17th and 18th centuries. The use of metal mounts both transforms the piece’s function and shows that the porcelain is being treated as a precious material. What is it? It looks completely improbable but this object had a practical function. The lion’s tail is in fact a spout. Where did it come from? Glass of this type was invented in Venice. 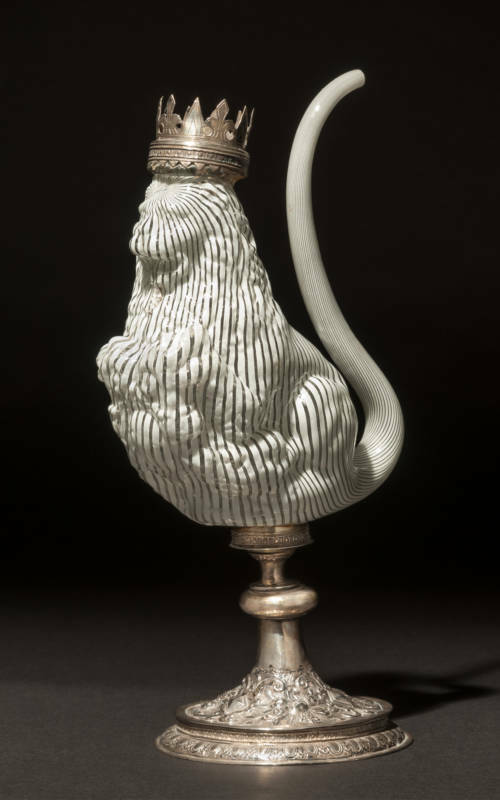 By the 17th century, several commentators noted the fashion for Venetian drinking vessels made in the most elaborate forms: as ships, birds, bells, horses or even as a church. Trick glasses designed to fool drinkers and spectators were also popular. Glass made in this latticino style was quickly made elsewhere in Europe, including the Low Countries and in Spain. This makes it difficult to locate where each piece was manufactured. 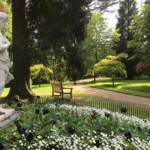 Baron Ferdinand acquired it for his ‘Renaissance Museum’ at Waddesdon. Where can you find it? This striking beast can be found perched above the fireplace in the Smoking Room. What is it? These prints depict fantastical beasts that are actually floats from the wedding festivities of Cosimo II Duke of Tuscany in 1608. Where did it come from? Land and water floats, chariots and machines were popular from the 16th to the 18th centuries, appearing in many festivals, including royal entrances, carousels, marriage festivities and even theatrical performances. The moving platforms were elaborately decorated to express the theme of the event; a perfect combination of ingenuity and fantasy. Where can you find it? 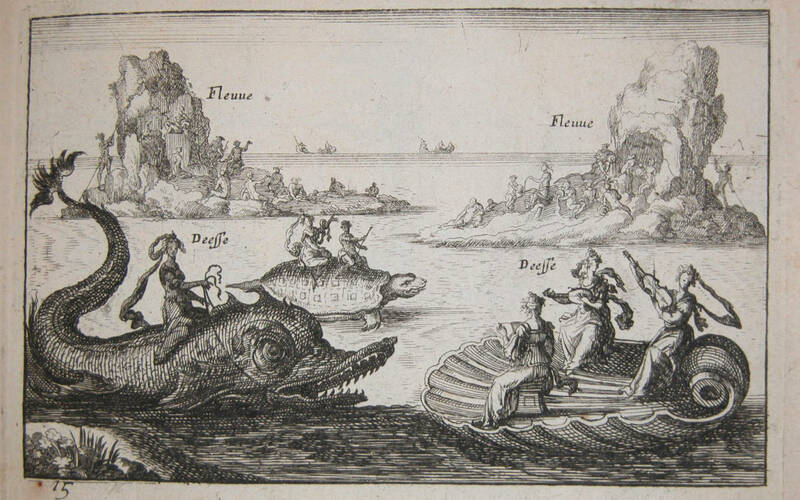 This specific print can be found in Le magnifique carousel, a series of prints, from Waddesdon’s book collection. The Christmas decorations of one of the bathrooms in the manor is inspired by these floats. What is it? The elephant automaton was one of Baron Ferdinand de Rothschild’s most admired treasures. It is operated by two keys inserted in the belly of the elephant and the base. The base plays a musical tune. 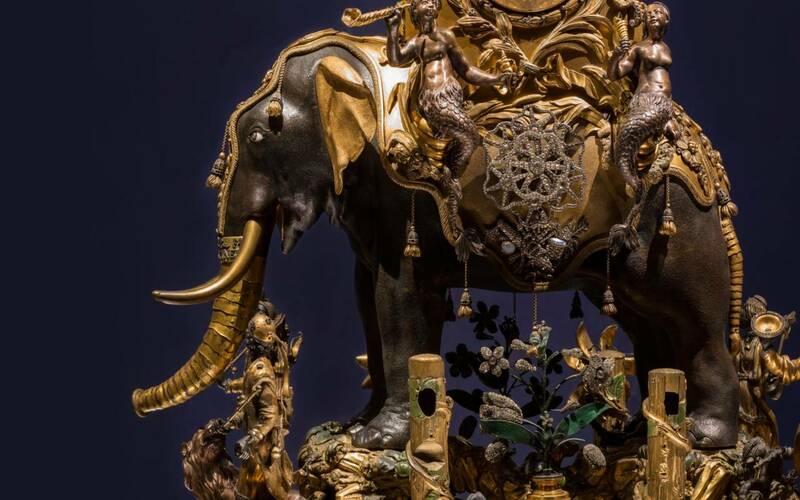 The triumphal Emperor riding the elephant and the four musicians on the base move to and fro, while the paste flowers, made to look like diamonds, rotate and open and close. The elephant’s ears flap, tail and eyeballs swivel and he waves his trunk. Where did it come from? The automaton was made in London, rumoured to have been ordered as a gift for an Indian official, though this would seem unlikely. 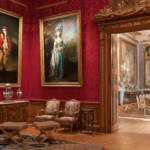 It was exhibited several times in London, the Netherlands and Paris before it was bought by Baron Ferdinand de Rothschild. It was mentioned in an 1889 issue of the Bucks Herald newspaper describing the visit of the Shah of Persia to Waddesdon, who asked to see it perform again and again.